Please excuse the glossy cuticles. I was in a hurry when I took the pictures and couldn’t let the cuticle oil soak in as much as I would have liked. 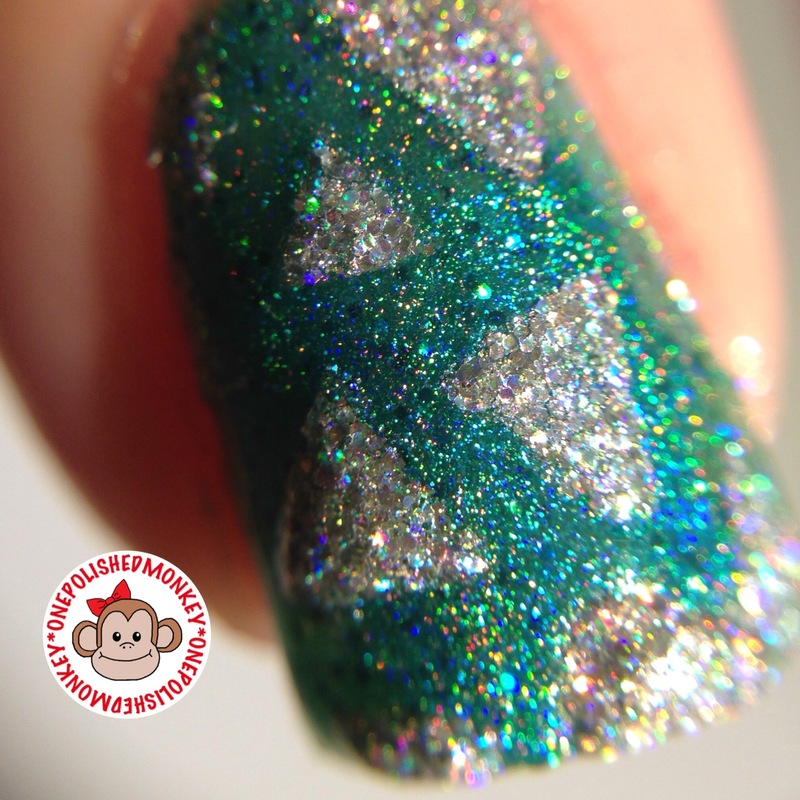 I have two more Different Dimension polishes to show you from my 18 polish bling buy. 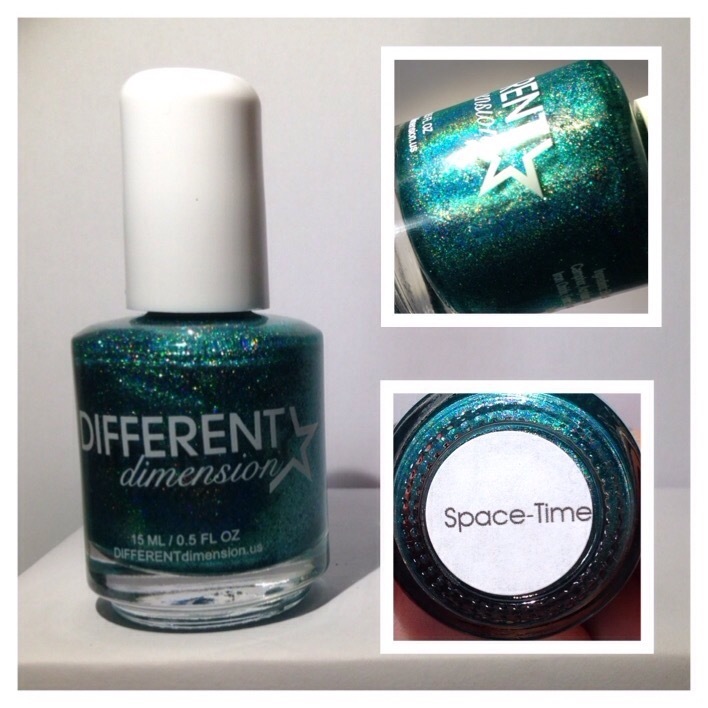 Space Time is from the six piece Cosmologically Speaking Part 2 Collection that was released in Fall 2015. Big Bang was part of the original Cosmologically Speaking collection released in Fall 2014. Space Time is a teal shimmery holographic polish that loves to catch the light. Two coats and this polish is opaque. 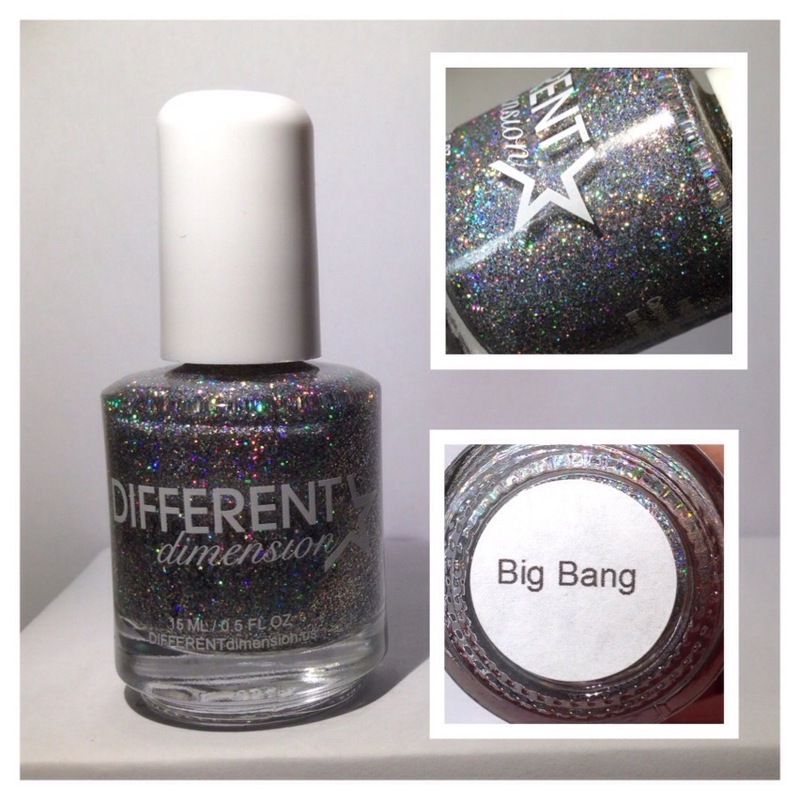 Big Bang is a silvery holographic glitter. 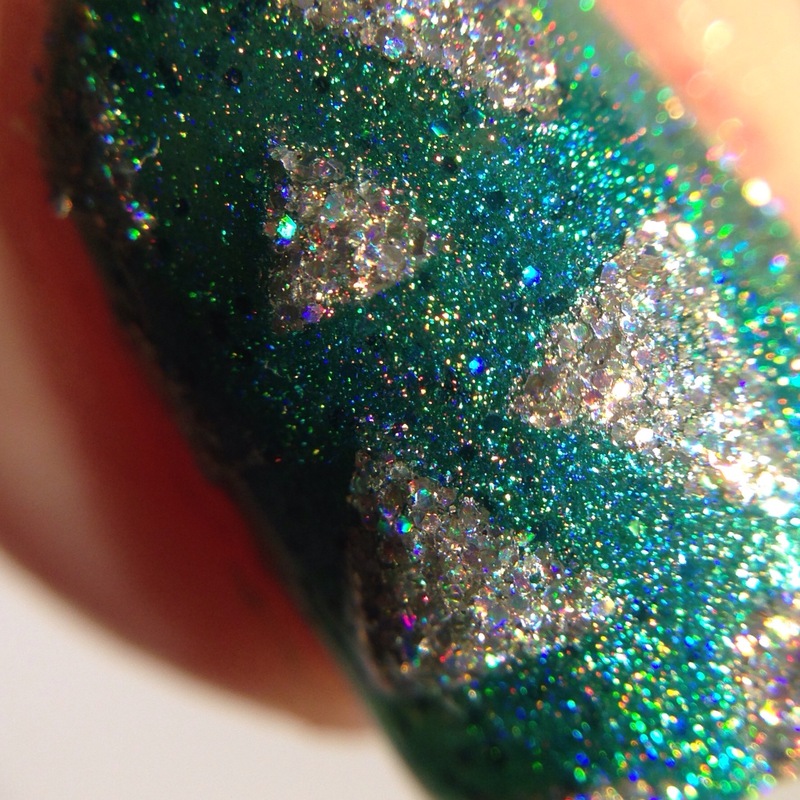 This polish is a little chunky due to the varying sizes of glitter. I tried some nail art with Big Bang that didn’t come out too bad but would have been much better with a smoother polish. The picture is one thick coat of Big Bang.